This past Thursday, Debka reported that the U.S. military has liquidated its two major air bases in the Middle East, at Incirlik (Turkey) and Al-Udeid (Qatar). Various facilities and capabilities will be moved: from Qatar to Saudi Arabia, and from Turkey to various friendly Middle Eastern countries. Air bases are designed to be liquidated and relocated in a short period of time. For historical context, we recall a similar event in the past. In 1969, King Idris of Libya was undergoing surgery in Athens, Greece. Taking advantage of his absence, Col. Muammar Qaddafi over threw the government and seized control in Libya. 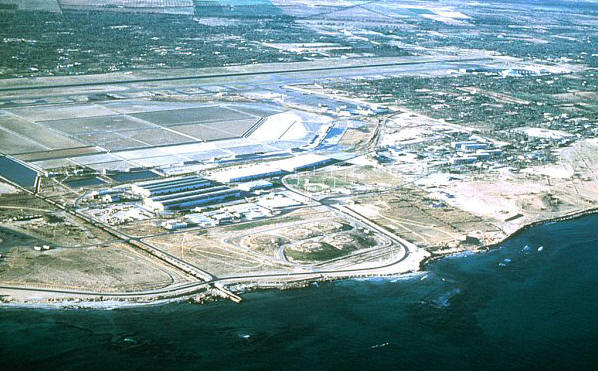 At the time, Wheelus Air Base outside of Tripoli was the largest air base outside the United States. Its operational capabilities were dispersed, in particular to Hellenikon, near Athens. As the analysis below will demonstrate, there are clear reasons behind the decisions to relocate these bases. However, there remains one key unanswered question – at least for the time being. The liquidations come on the heels of two key shakeups in the Trump administration. The first was the replacement of Secretary of State Rex Tillerson with Michael Pompeo. This was followed by the dismissal (long overdue) of National Security Advisory H.R. McMaster, to be replaced by John Bolton. These personnel changes represent a shift to a harder and more realistic foreign policy, particularly against Iran and North Korea. The Qatari economy, which supports the highest per capita GDP in the world, is fueled by natural gas exploitation. Prior to being appointed Secretary of State, Rex Tillerson was CEO of ExxonMobil (beginning in 2006). Simply put, ExxonMobil is one of the driving forces behind Qatar’s expanding influence over the last three decades, for they literally extract the wealth which pipes into the ruling Al-Thani family fortune. For more than a year, Qatar has been diplomatically isolated by Saudi Arabia and all the Gulf States due to Qatar’s close relationship with Tehran and their financing of Middle Eastern terrorist groups. Since President Trump’s visit to Riyadh in May 2017 and the warm reception given to him by the Saudis (i.e., Crown Prince Mohammed bin Salman, aka “MBS”), Secretary of State Tillerson objected to further isolating Qatar – in other words, he objected to putting Qatar into the dog house. In the face of a Saudi led blockade, Turkey and Iran has provided relief to the isolated Qataris in the form of imported foodstuffs and a garrison of Turkish soldiers. Regarding the base closure at Incirlik, with input provided by Secretary Mattis, these strategic facilities will be appropriately relocated in short order. In the case of Turkey, a NATO ally, the strongman President Recep Erdogan has turned back the clock. From a secular republic created by Ataturk following the World War I, Erdogan has all but officially named himself Caliph. Since ascending to power in 2003, his government has advocated for Sharia (i.e., Islamic religious rule) law over secular law in Turkey, and sided with Islamic radicals. In recent years, his overtures to the Iranian regime, and his bootlicking, have been explicit. Erdogan clearly views Iran as his key ally. In the case of Qatar, their financing of terrorism and close coordination with the Iranian regime has demonstrated conclusively to the Trump administration that they are no longer an ally. The liquidation of Al-Udeid Air Base shows that finally the United States recognizes Qatar as a mere extension of the enemy, Iran. The same logic, basically, should also be applied to Turkey. Although far larger and more powerful than Qatar, Erdogan has aligned Turkey with the terrorist regime of Tehran. Hence the yet unanswered question is: When will we kick Turkey out of NATO?